January is traditionally the time for looking back at the old year and making resolutions about what you’re going to do in the new; getting fit, losing weight, spending less time in front of telly and generally taking more exercise. You could do all of that through walking, even at a moderate pace you burn off 500 calories in a couple of hours, so in one afternoon you could use up over a thousand calories. It is pretty soggy out there currently. Although we haven’t had the water levels we reached in last year’s floods, many of the footpaths and fields are still underwater, so do be careful and look to see what alternate routes you could take whilst planning your walk. One idea is to take your maps to a nearby pub and plan the rest of the year’s walks, so here’s a few ideas from where we’ve been to get you started. In February search out the snowdrops. Welford Park has the best local display and as well as a walk around the gardens, you can pick up the Lambourn Valley Way from there which follows the course of the River Lambourn. In March we’ve visited the ruins of Arborfield old church and Goring Gap, where the Thames and the Ridgeway meet. It’s also close to Beale Park for a trip in the early Easter holidays. In April, spring’s really taking hold and hopefully it’s getting warmer. We’ve walked from the Lodden Valley Nature Reserve to a surprisingly tranquil lake in the middle of Woodley and explored the botanical garden at the University. We’ve also done one of the Berkshire Circular Walks on the Ordnance Survey maps around Mortimer and Burghfield Common and seen lambing and bluebell woods near beautiful Bradfield. We’ve walked a fair amount of the Berkshire’s waterways during the three years I’ve written this column since I first moved to Berkshire (you can follow all of our past 30 walks at www.walkerswalks.co.uk). First we tackled the section of the Thames Path between Reading and Sonning, following in the wake of Jerome K Jerome’s Three Men in a Boat. The following year we walked from Caversham Bridge to Mapledurham, which is said to have been the area that inspired Toad Hall in Wind in the Willows. Then in 2007, we followed the Kennet and Avon Canal from Sheffield Bottom to Newbury, stopping at one of many pubs we’ve visited on the way. In June 2005 we started at the Kennet Mouth (where the Thames meets the Kennet and Avon) and followed the waterways in a circular walk around Reading. In 2007 we covered the section of the Thames between Sonning and Henley and made a leisurely return by boat. In between, we left the water behind to walk the Three Castles and Church Path from Ascot racecourse to Swinley Forest in Bracknell. In July we’ve switched rivers and followed the Loddon Valley looking for Loddon lilies, been wine tasting between Wargrave and Whistley Bridge and found a hidden ice house whilst chasing the Thames from Bisham to Marlow, past the National Sports Centre at Bisham Abbey and through the picturesque village of Hurley. In August, when the sun’s been shining brightly and the kids were off school, we’ve given them a history lesson whilst walking around the site of the Roman town of Calleva at Silchester and headed to California Country Park, one of the first holiday camps in the UK, followed by a trip to the REME museum and fresh sausages from a farm. As the autumn starts to set in around September, we’ve chased birds and bats around Dinton Pastures and celebrated the Queen’s 80th year in Windsor, watching the deer, stopping off at Saville Gardens and admiring the splendid view of the castle from the Long Walk. In October, when the colours of the trees are at their best, we’ve seen Malamute racing in Wellington Park, learnt which wild mushrooms you can eat at Braywick Nature Centre and returned to explore more of Swinley Forest. As the days get shorter in November, we’ve adapted our walks, including exploring the Sulham Valley starting from Savacentre in Calcot (in case you had to fit in some Christmas shopping too!) Headed along the tow path from the centre of Reading and out past Sheffield Lock and kept dry around the town centre on a museum crawl. As the year draws to a close in December, we’ve wrapped up warm and had a lovely icy walk along the boardwalks at Wildmoor Heath near Sandhurst and met the tiny Exmoor ponies at Snelsmore Common in West Berkshire and the even tinier, but infamous Desmoulin’s whorl snail, which stopped building of the Newbury bypass. Before we know it we’re back at the beginning of the year and in January 2007 we were on the border of three counties; Berkshire, Hampshire and Surrey in Blackwater Valley, doing a little twitching at the Moor Green Nature Reserve. Quite a contrast to 2006 when we’d been taking in the history in Reading centre as we hit the sales. 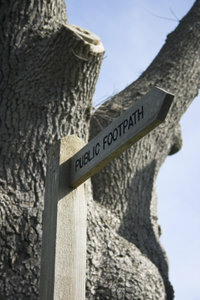 With all of these great adventures on your doorstep, do enjoy your walking in 2008.